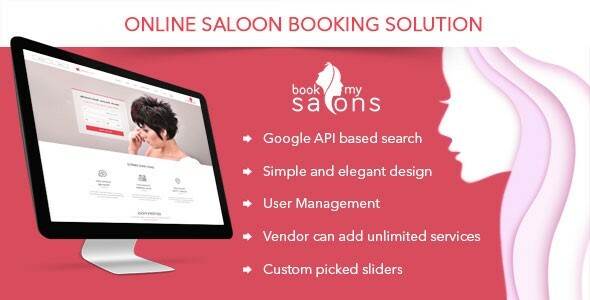 Book My Saloon - CODELISTPRO | Free Premium Scripts, Plugins, Apps Source Code. Book My Salon is an online website for fixing appointments with the professional salons nearby online. Book My Salon is perfect for hair salons, beauty spa’s, hair dressers, massage parlors, beauty salons etc. Can fix appointments in the professional salons online in just three easy steps, can choose from the variety of services offered by the salons. Location based search option is provided for ease of booking appointments.